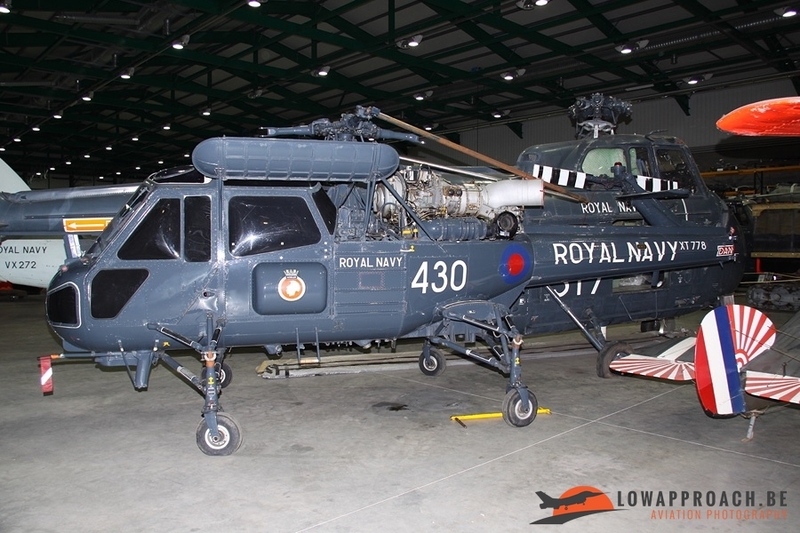 A few months ago Low Approach published an article covering the Naval Air Days 2016 held at RNAS Yeovilton. 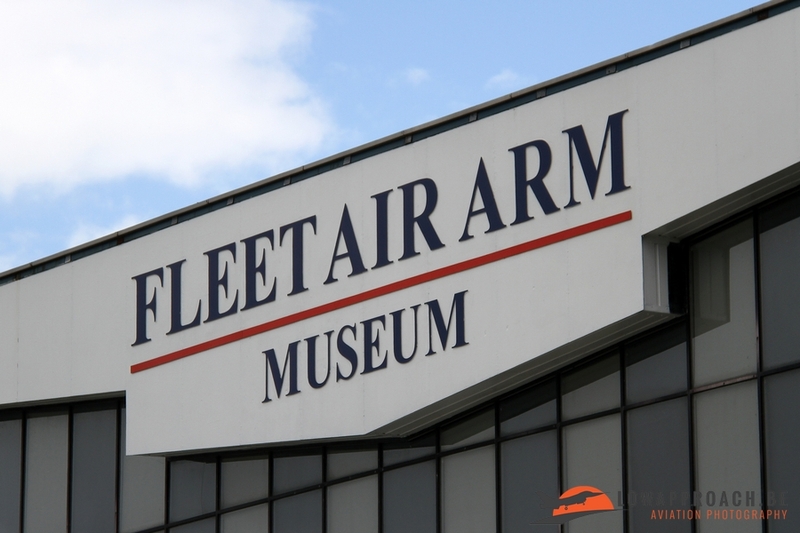 In the morning of the air show I paid a quick visit to the Fleet Air Museum which is also located at this airbase. 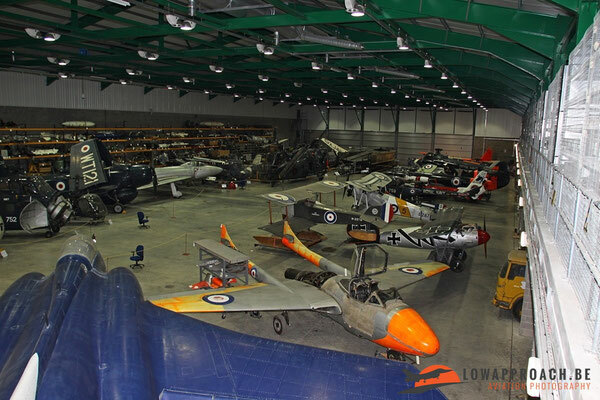 The pictures included in this article were taken that day, but I also added a number of pictures from the Cobham storage facility, which were taken by our member Ludo Kloek at an earlier visit in order to give an as complete as possible overview of what can be seen. 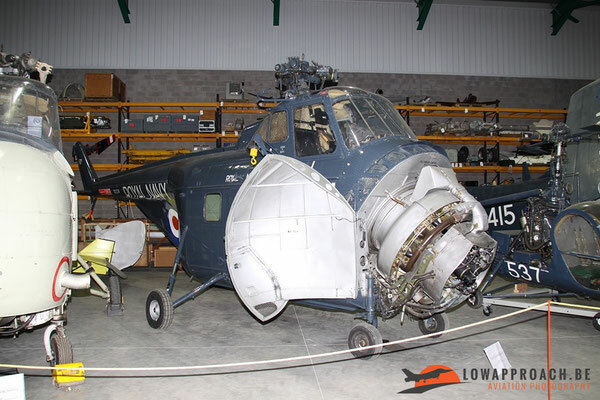 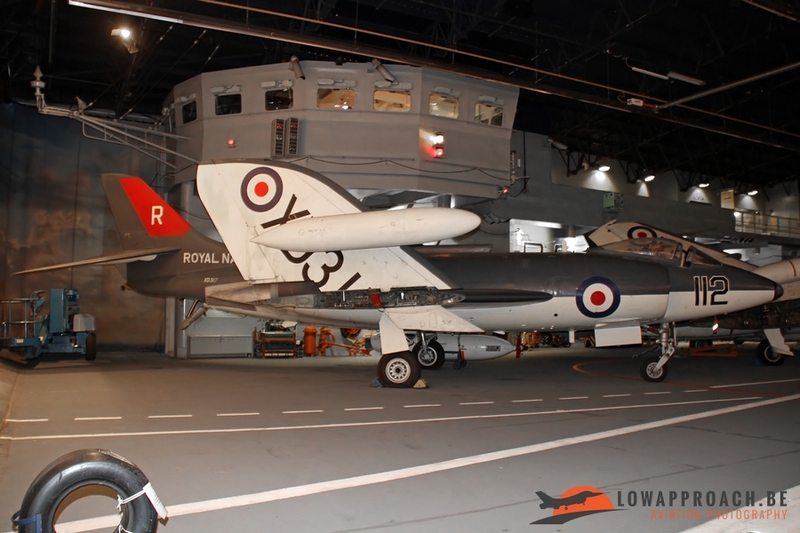 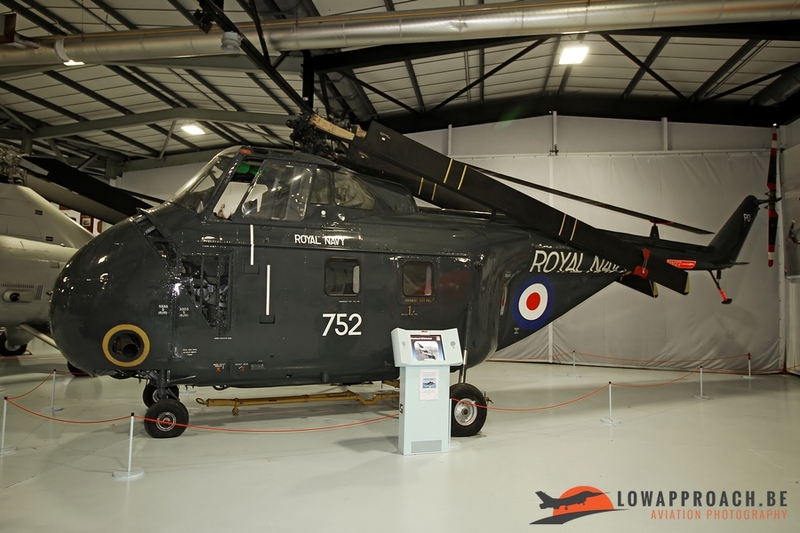 The museum itself is chronologically organized giving the full history of the aviation element of the Royal Navy, also known as the Fleet Air Arm. In the first area a number of early aircraft are on display. 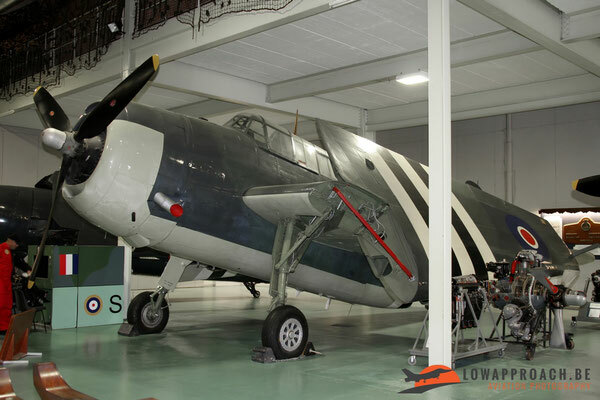 One of the first aircraft that entered service was the Shorts S27. In 1912, a platform was constructed on the foredeck and 12-inch gun turret on the battleship HMS Africa. 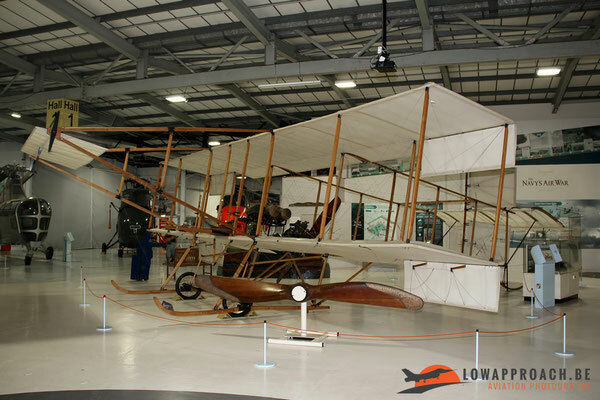 On January 10th, 1912 Lieutenant Charles Rumney Samson took off from this platform in a Shorts S27, which was the first aircraft ever to take off from a British warship. 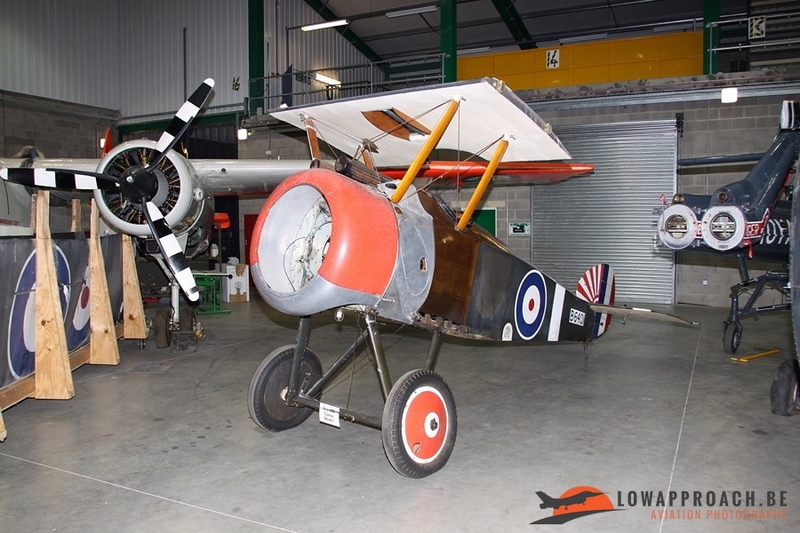 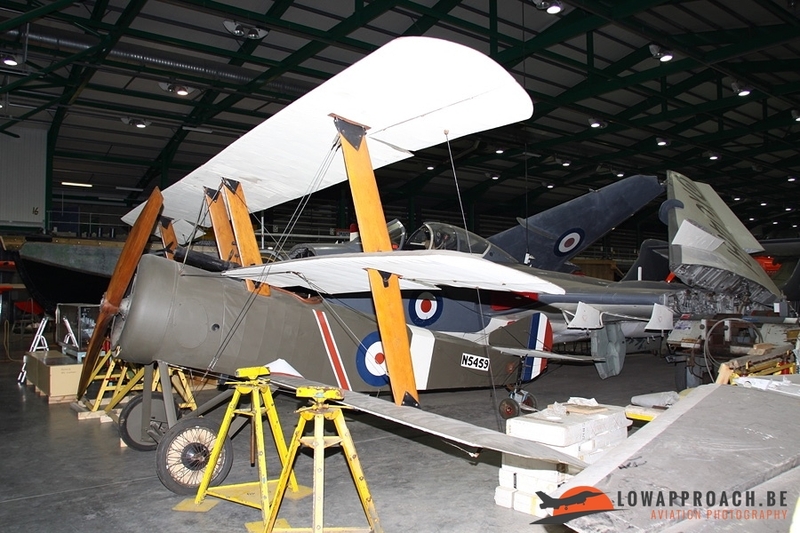 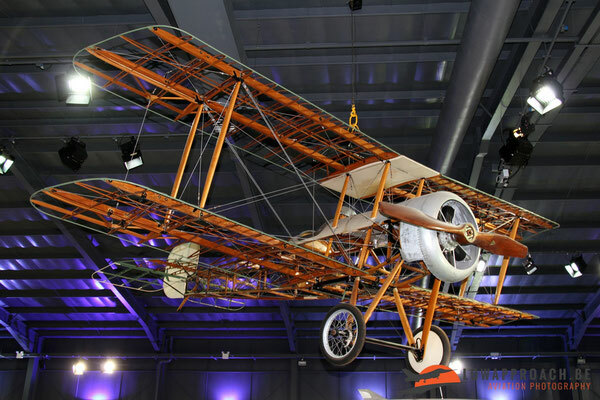 Other aircraft from this period which also included the World War 1 period are a Sopwith Baby (armed with unguided missiles) and a Bristol Scout D. In storage the museum has a Sopwith Camel and Sopwith Triplane, both of which are replicas. 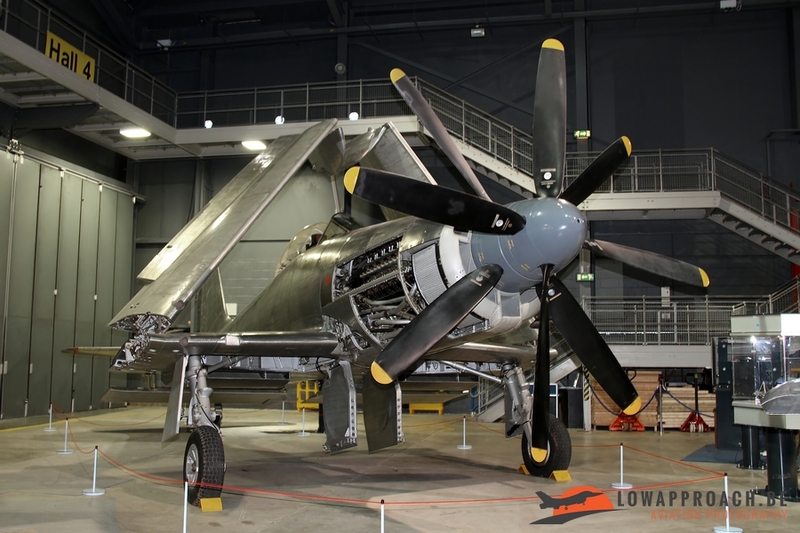 World War II meant a major breakthrough for carrier operations. 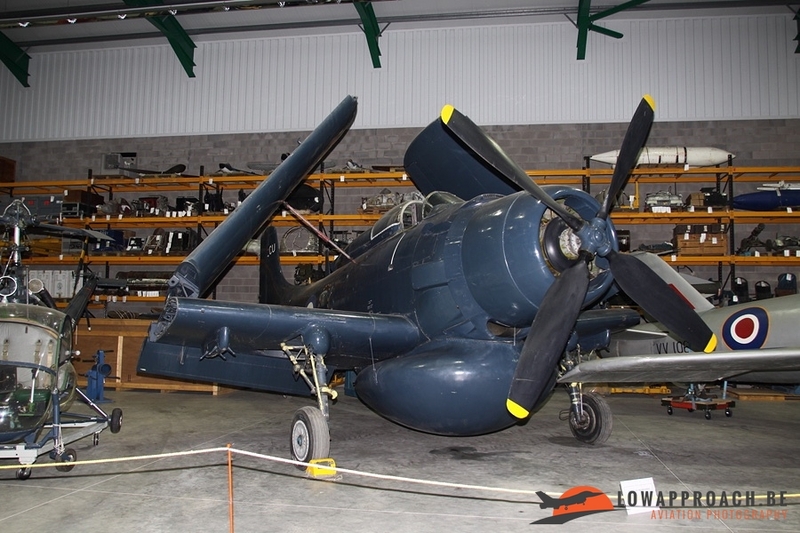 This period is very well covered at Yeovilton, with a collection of both British and US-made naval aircraft. 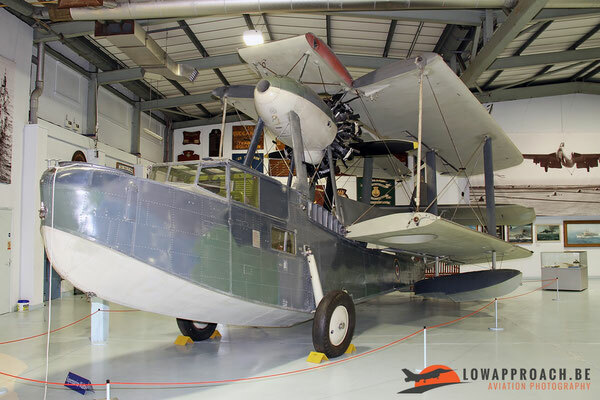 From British origin are the Supermarine Walrus I, an amphibious reconnaissance aircraft that entered service in 1935, but remained in production until 1944. Next in line is the Fairey Fulmar II, a two-seat carrier based fighter. 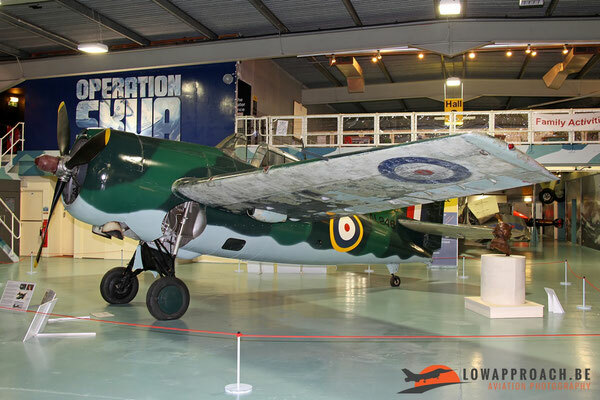 In 1943 a successor for the Fulmar entered service in the form of the Fairey Firefly TT.1. The example preserved in the museum is a fighter version that was converted to a target tug after the war. 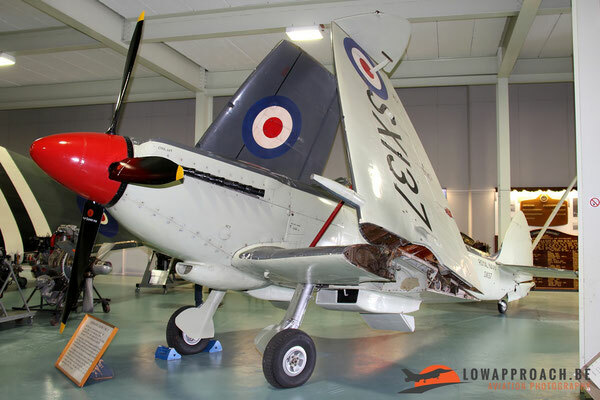 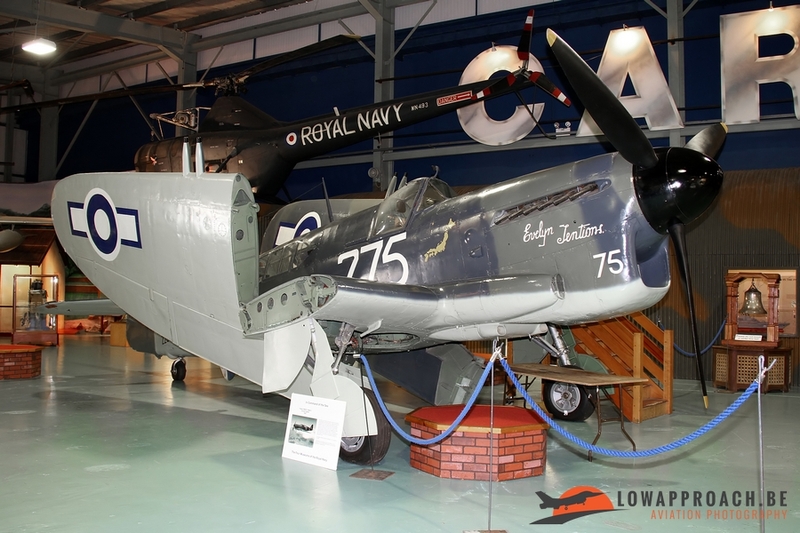 After the success of the Spitfire within the Royal Air Force, a naval version for Royal Navy was developed, which was called the Supermarine Seafire, a beautifully restored example is on display. After the outbreak of the second world war large quantities of aircraft were needed, much more than what the own war industry could produce. 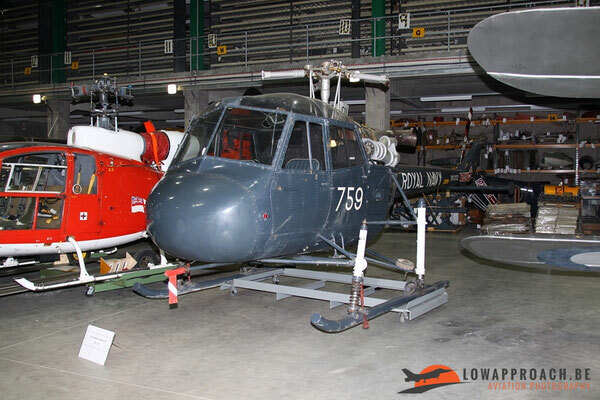 A solution was found in acquiring aircraft from the United States. 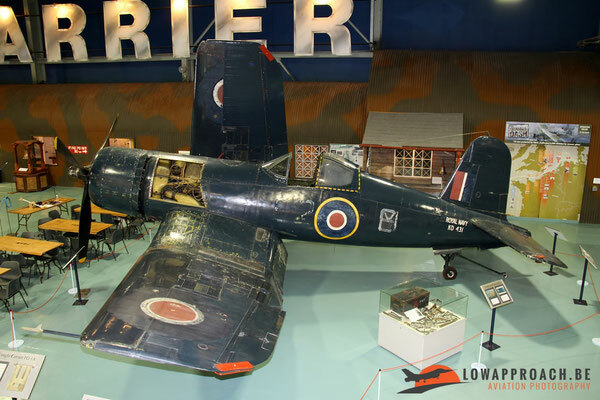 First aircraft on display is the Grumman Martlet I, which was already in service within the US Navy as the Grumman Wildcat. Later more US-made aircraft were acquired by the Royal Navy, like the Grumman Hellcat, the Grumman Avenger and the Vought Corsair II with its well-known bent wing. After the second world war carrier based aircraft development continued. This period is illustrated by examples of the Westland Wyvern TF.1, a strike aircraft that saw action during the Suez crisis in 1956. Other propeller driven aircraft of this period are the Hawker Sea Fury FB.11, the Douglas Skyraider AEW.1 (an early Airborne Early Warning version) and its successor the Fairey Gannet AEW.3 which remained in service until 1978. 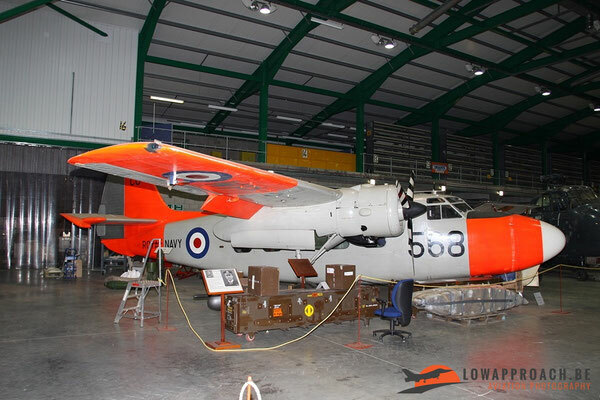 Included in this series is the Percival Sea Prince T.1, the Royal Navy version of the Percival Pembroke transport aircraft. As with the Royal Air Force (and many other air forces) also within the Royal Navy the days of propeller driven fighters were numbered, as the development of jet engines was going at a fast pace. 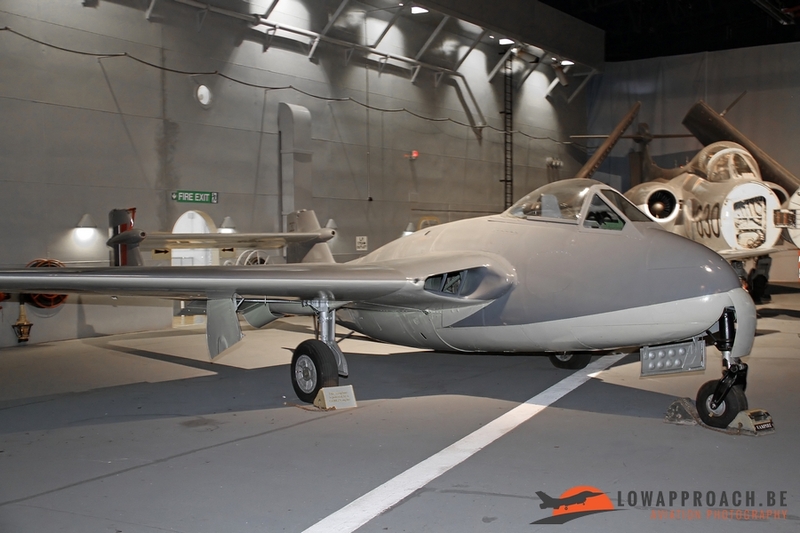 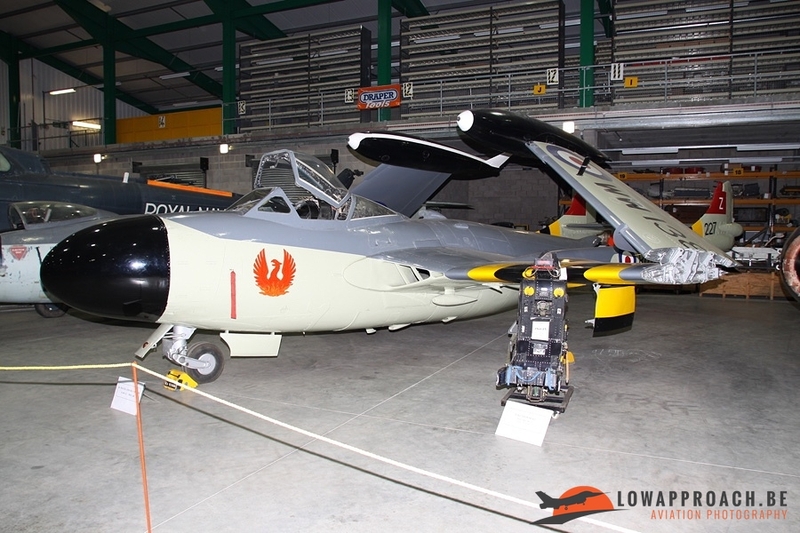 The Royal Navy's first jet fighter that entered service was De Havilland Sea Vampire, a navalised version of the Vampire, used by the Royal Air Force. 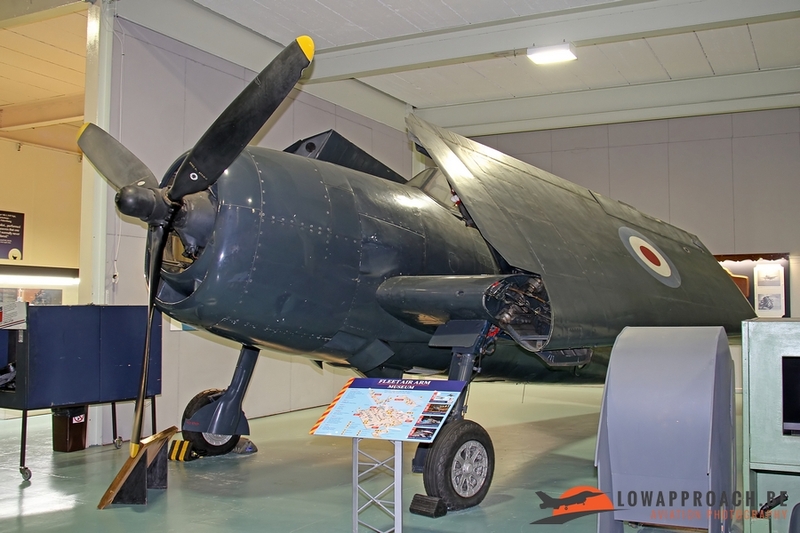 This was quickly followed by a derivative of the Sea Vampire, the Sea Venom in the ground-attack and night-fighter role. 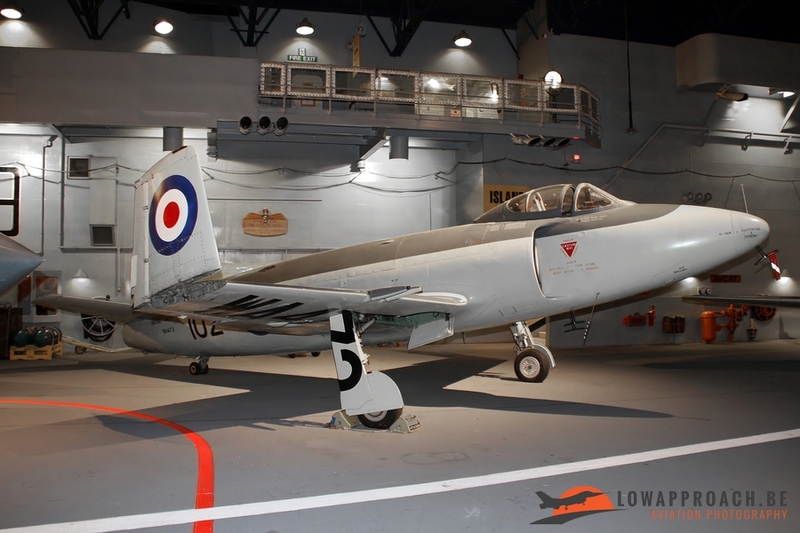 In November 1950 a Supermarine 517, serialled VV106, was the first swept-wing jet aircraft to make a carrier landing and take-off. 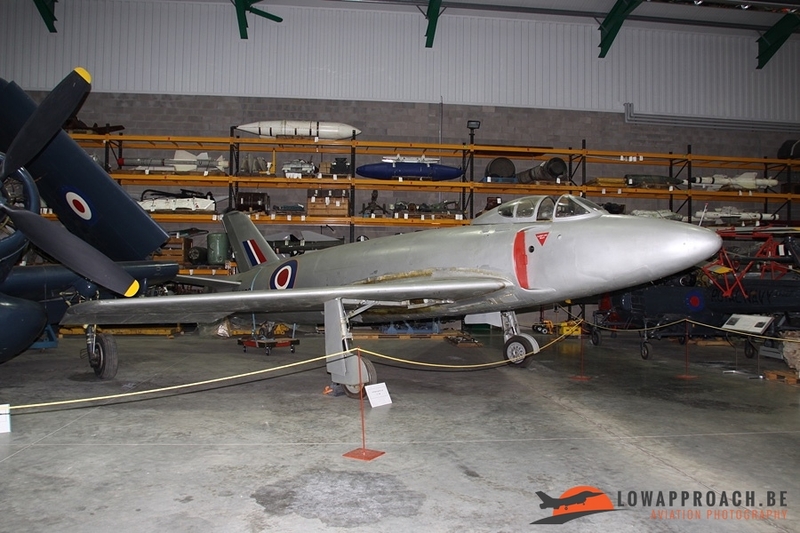 The 517 was in fact developed for the Royal Air Force, thus the take-off had to be done using JATO-rockets. The Supermarine Attacker was very strong related to the 517, it was introduced in 1951, but already withdrawn from service in 1954. 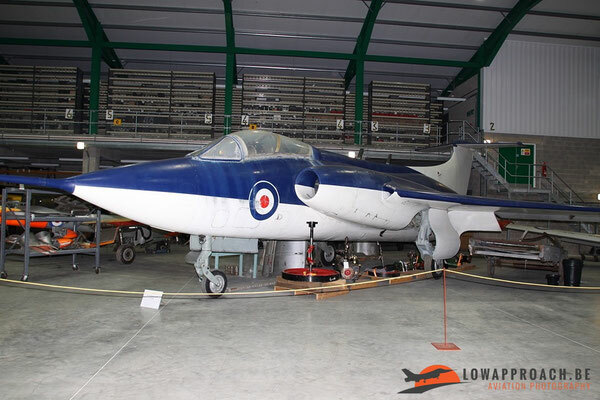 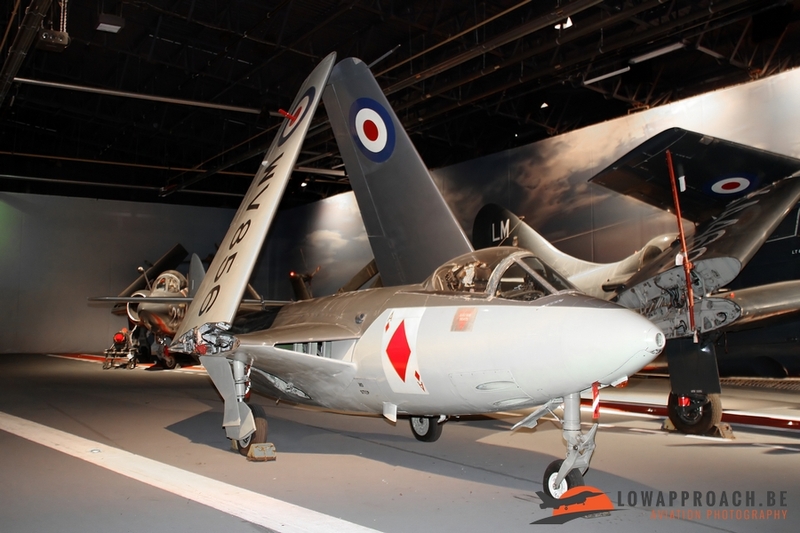 The next aircraft was the Hawker Sea Hawk that entered service in 1953, quickly followed by the Supermarine Scimitar in 1957 and the De Havilland Sea Vixen in 1959. 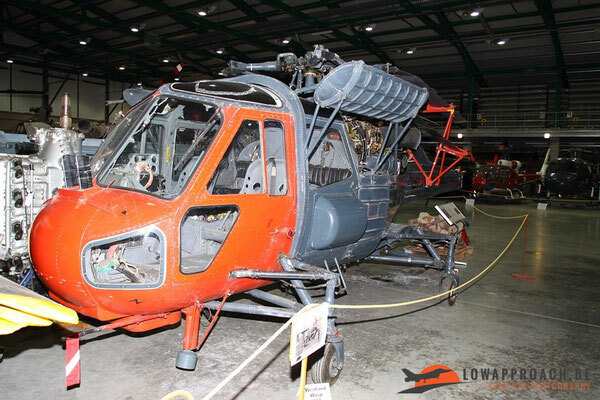 One of the most impressive displays in the FAA Museum is Hall 3. To access it you have to board a Westland Wessex and with the necessary sound and light effect you are given the impression that you actually land on the deck of a carrier at night. The flight deck is full of aircraft from the seventies period. But you have watch out, as the flight is quite busy in launching and recovering the aircraft. 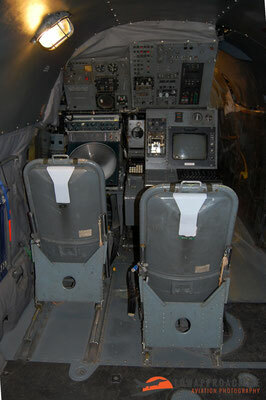 Of course it's a simulation, but it gives a very nice impression on the risks involved with carrier operations. 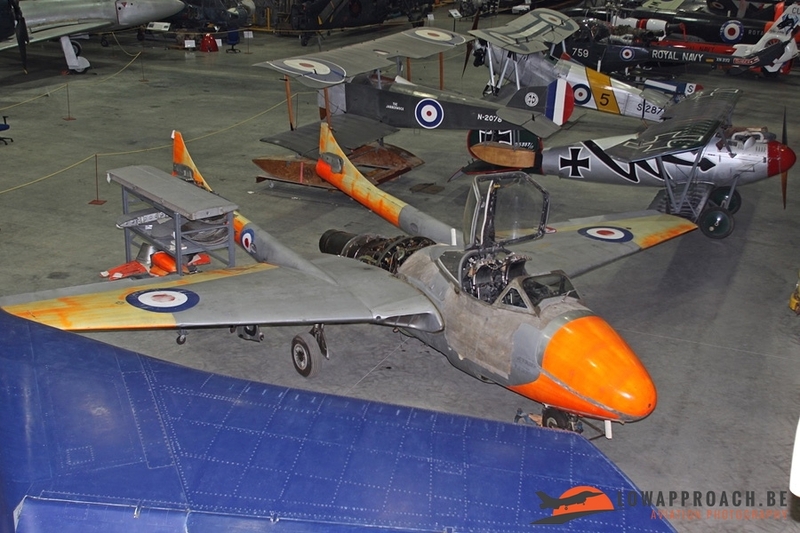 The prototype the Blackburn NA39, is currently held in storage in the Cobham Hall, but on the flight deck two examples of the operational Blackburn Buccaneer, an S1 and a S2B are present. 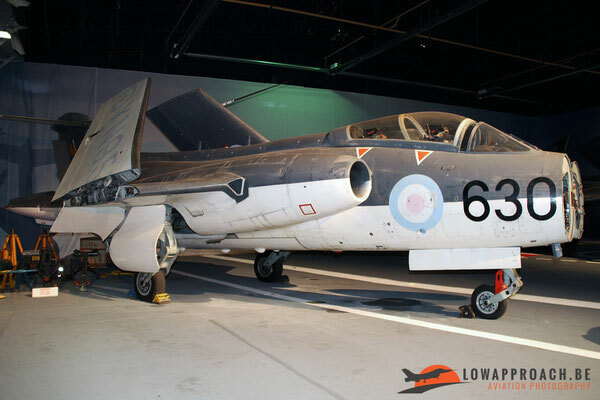 This large strike aircraft entered service in 1958 and remained in service with the Royal Navy until 1978 when the large carriers were taken out of service. 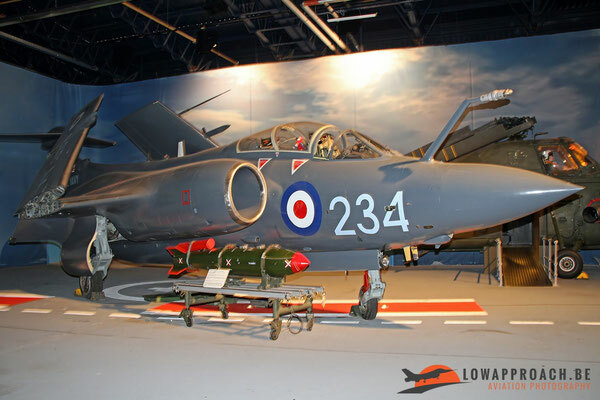 This didn't mean the end for the Buccaneer as they were transferred to the Royal Air Force, until their final retirement in 1994. 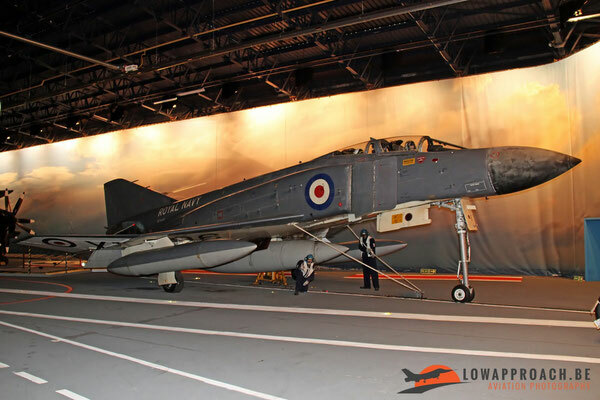 In 1964 the Royal Navy ordered the Douglas Phantom FG.1 (the Royal Air Force variants were designated Phantom FGR.2). 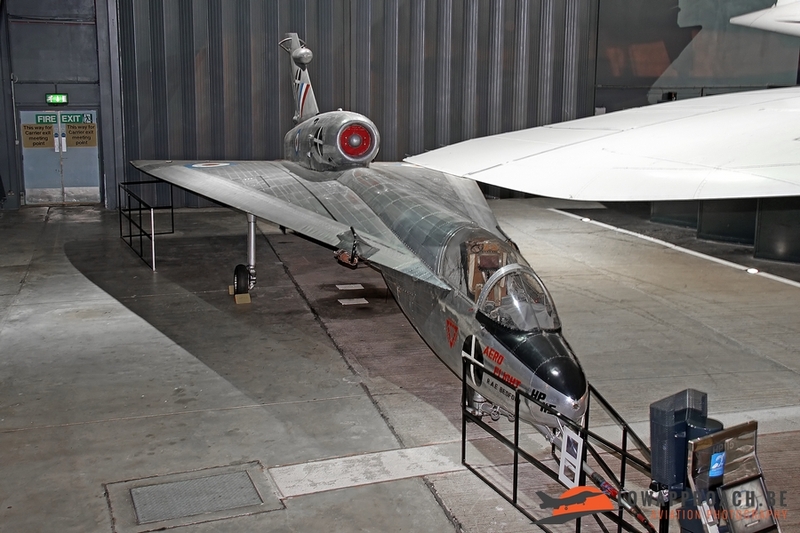 The British Phantoms was different in appearance as they were powered by the Rolls-Royce Spey engines, compared to other Phantoms who were powered by the General Electric J79. 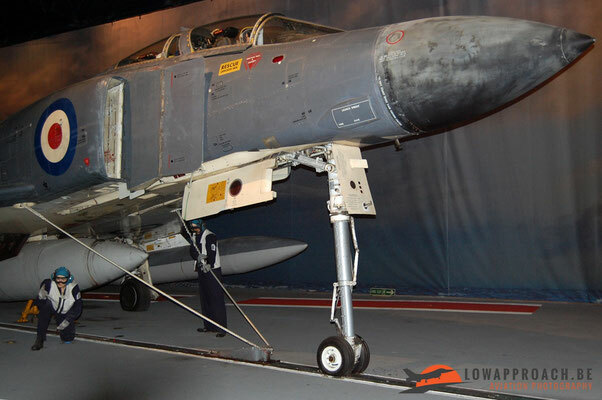 As with the Buccaneers, the Phantom FG.1 went to the Royal Air Force when the large carriers were taken out of service in 1978. The new smaller carriers were the platform for the brand-new British Aerospace Sea Harrier FRS.1, which was developed from the Royal Air Force Harrier FGR.1. Although the Harrier was a Vertical Take-off and Landing aircraft it required a rolling take-off in order to maximize its weapons load. 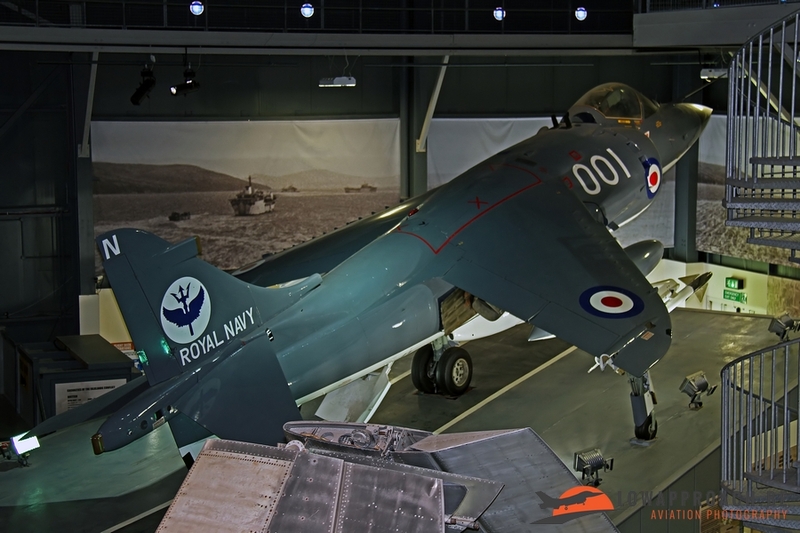 To assist take off the new carriers were equipped with a ski-jump as can be seen at Yeovilton. The Sea Harrier entered service in 1980 and only a couple of years later, in 1982, it saw action during the operation to liberate the Falkland Islands after the Argentinian invasion. As with many air arms the Royal Navy always has been a large user of helicopters. In 1946 an agreement was signed between Sikorsky and Westland to allow this last one to produce the Sikorsky S51 under license as the Westland Dragonfly, which entered service in 1950. 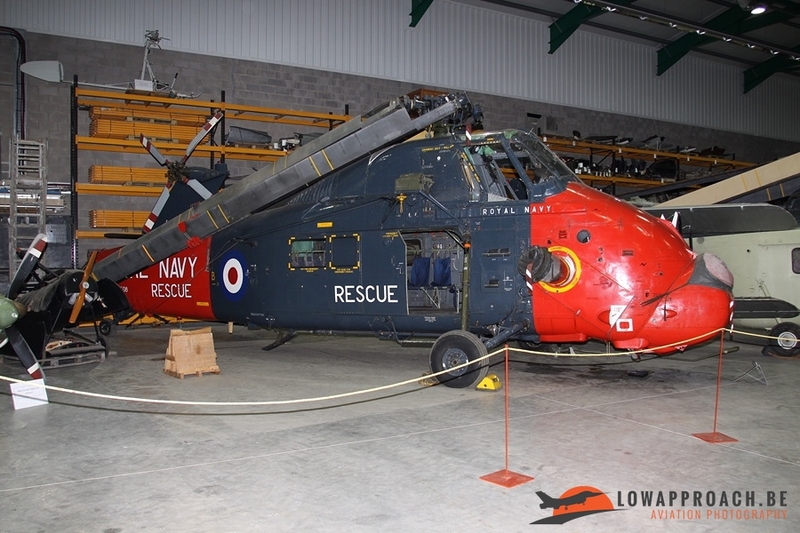 It was replaced by the Westland Whirlwind, which again was a license build version of the Sikorsky S55/H19. 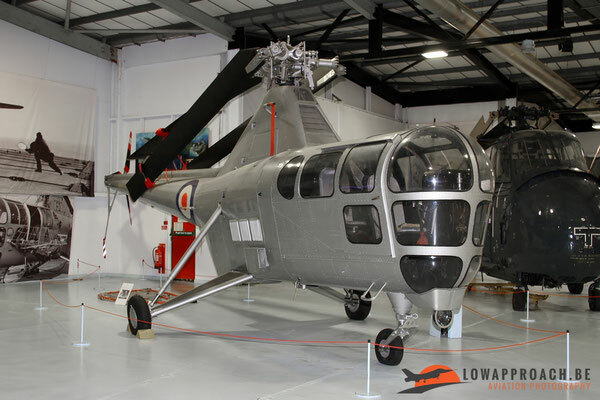 Another British company stepped in the field of helicopters when Saunders-Roe started development of the SARO P531 in 1957. 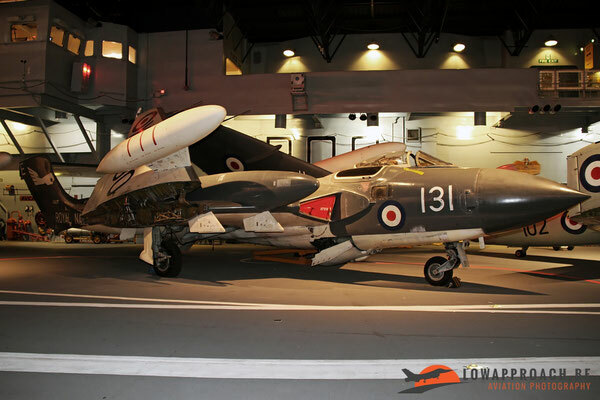 The Royal Navy acquired a number of development aircraft, one of which is held in storage. 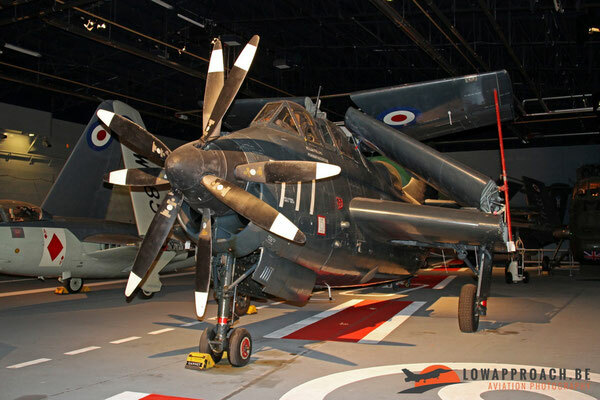 After evaluation the Royal Navy ordered a first batch of production aircraft, which we all know as the Westland Wasp. 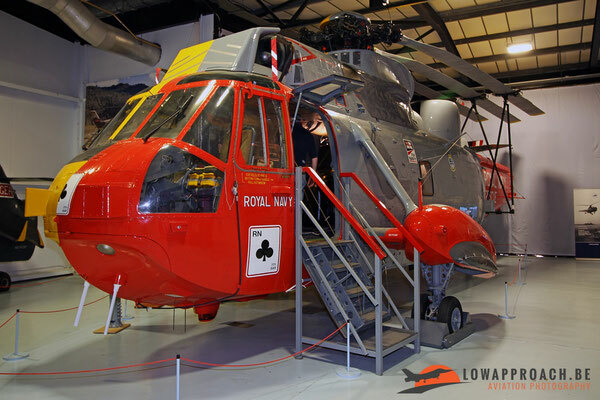 Sea King, made its first flight. 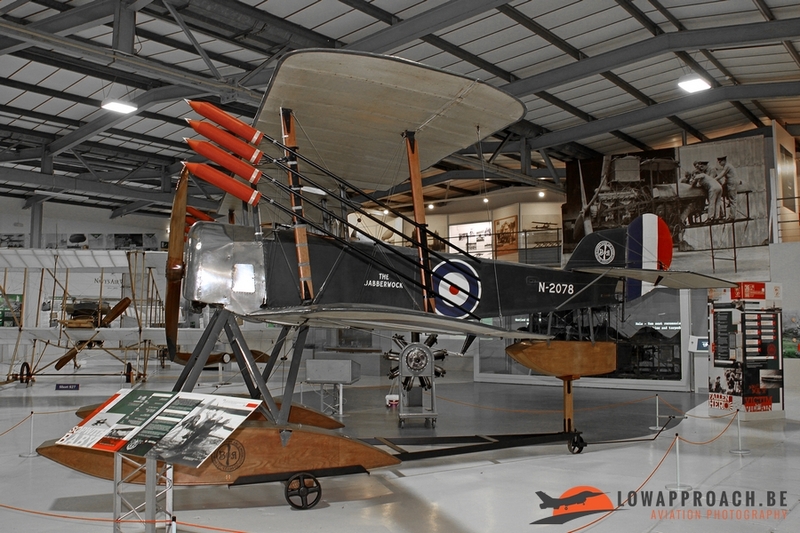 Again a number of design changes were introduced, Rolls-Royce engines and a different crew arrangement. 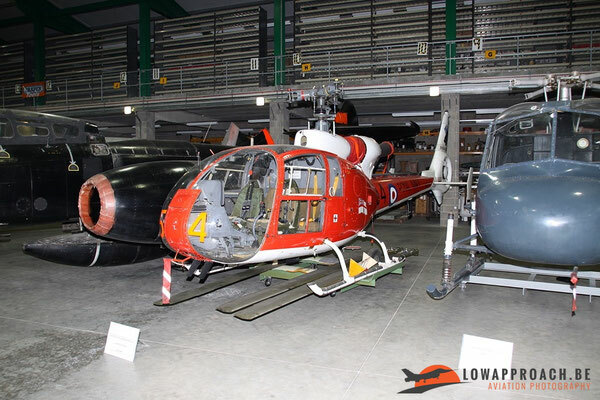 The last helicopter in this series is the Aerospatiale/Westland Gazelle, which was used in the training and observation role. The Fleet Air Arm Museum also is the home for a number of development aircraft and prototypes. Apart from the first British build Concorde prototype who dominates Hall 4 it has a Fairey Delta 2, a high-speed research aircraft, which made its first flight in 1954. Another unique aircraft is the Handley Page HP.115. This aircraft was used to test the low-speed handling characteristics of a supersonic airliner, like the later Concorde. 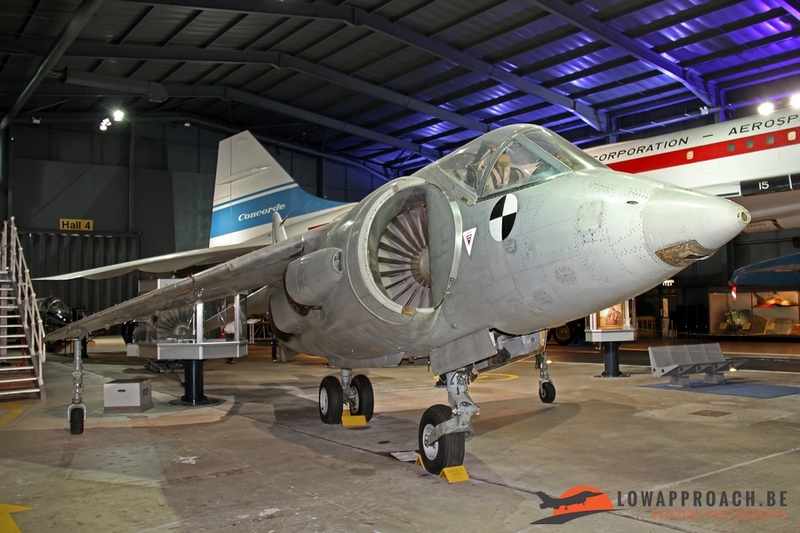 The Hawker P1127 was a single-seat experimental vertical/short take off aircraft which ultimately led to the development of the British Aerospace Harrier/Sea Harrier. 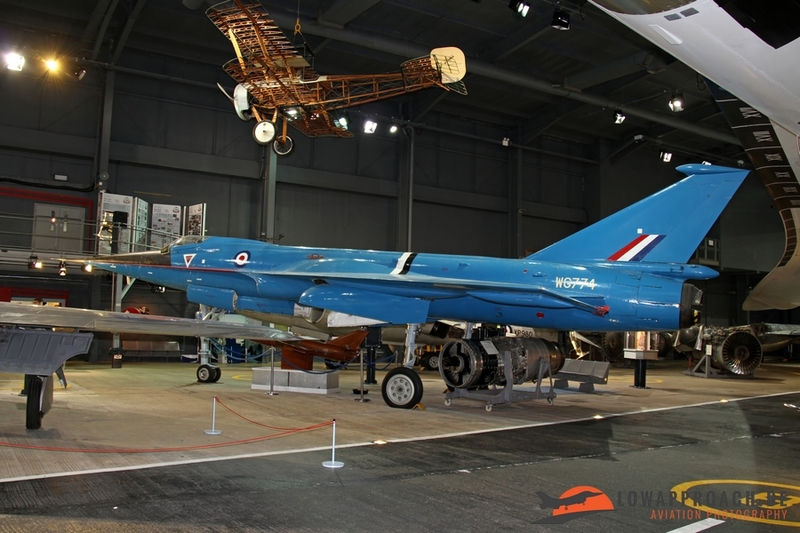 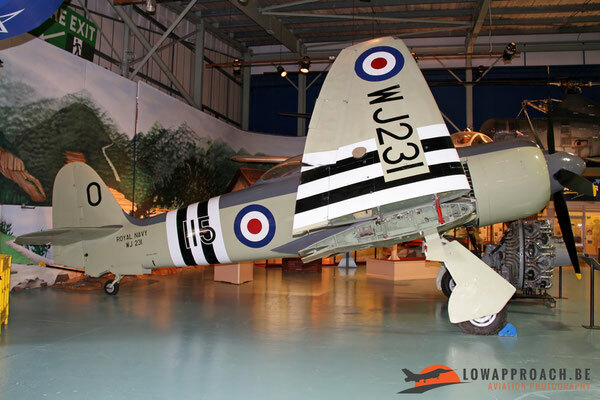 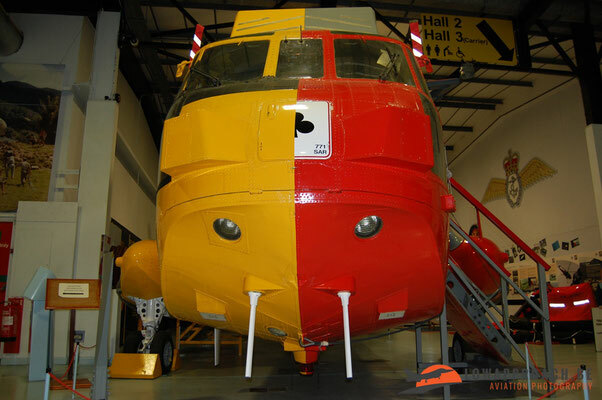 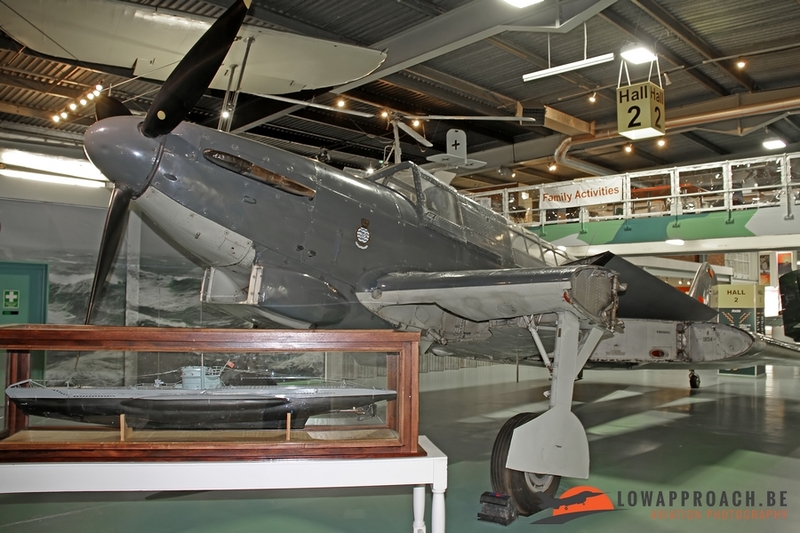 The Fleet Air Arm Museum is an extraordinary collection of naval aircraft and is the largest of its kind in Europe. 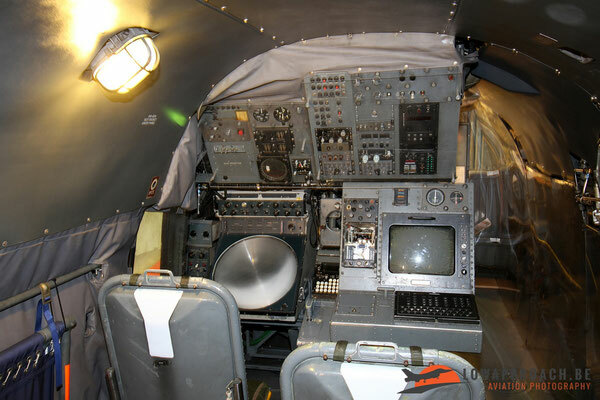 I admit that I didn't spend enough time to enjoy all the exhibits as I also didn't want to miss anything from the air show itself, it's sometimes difficult to make choices. 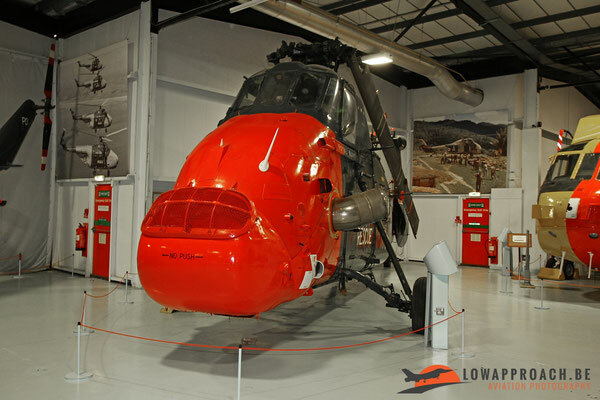 Photography can be challenging in certain areas of the museum. 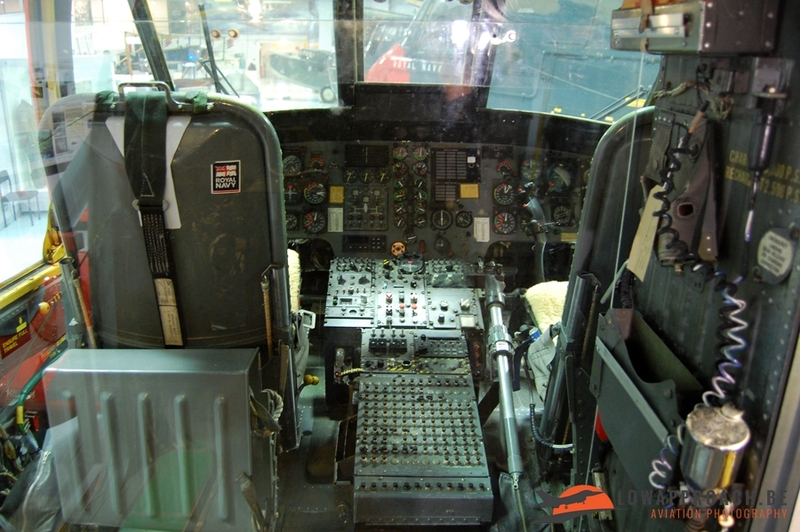 Especially Hall 3 (the carrier flight deck) is very difficult. Lighting is quite limited to increase the special effect, but it's not really helpful for good photography. The other Halls are quite full as well, and I really hope that in the not so far future an additional Hall is added, so that some of the aircraft which are now stored in Cobham hall, can be displayed for a larger public.